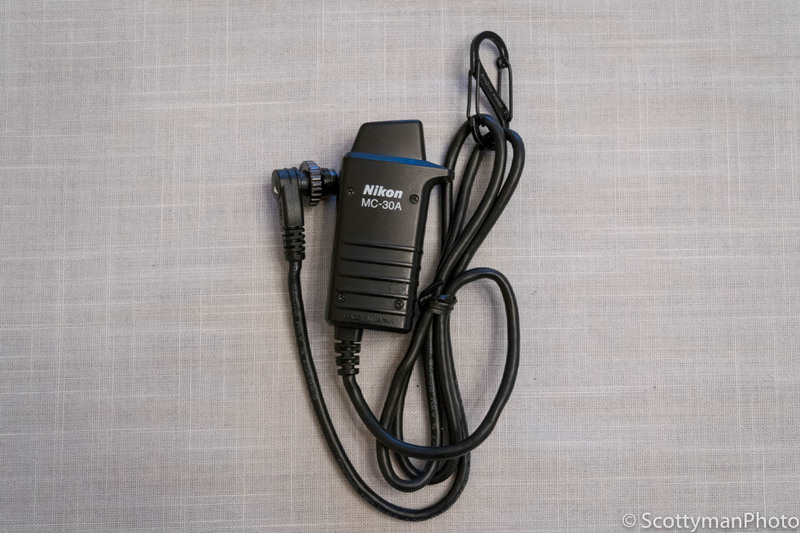 The Nikon MC-30A Remote Shutter Release with an attached Nite Ize Carabiner. Extend the life of your remote shutter release and prevent damage to your camera, all while minimizing camera shake in your images. Attached to the camera’s remote port by way of an electrical cable, a remote shutter release provides hands-free activation of the shutter without the need for the user to make contact with the camera; thus, minimizing blur from camera shake. One disadvantage of the attached cable, it tends to hang unsecured from the camera’s remote port. Preferably, our camera accessories perform flawlessly without incident, but in reality, many unexpected situations can occur. 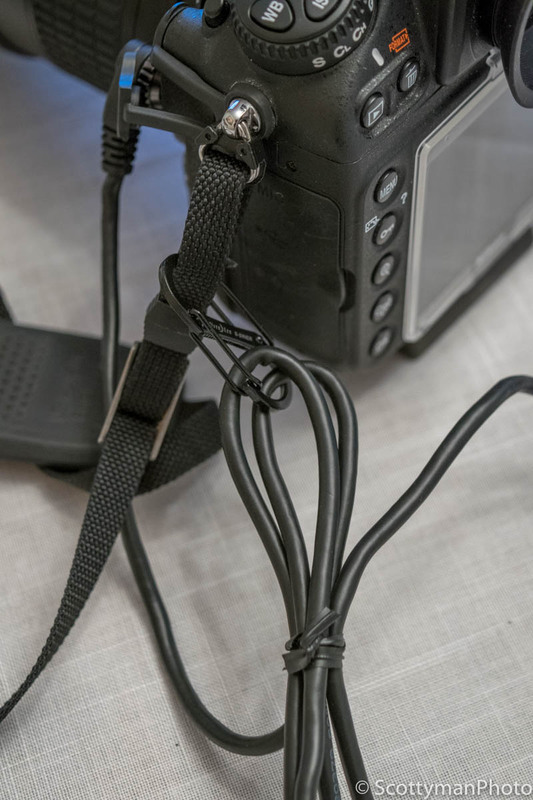 Thus, extended periods of swinging, dangling, and accidental tugs on the cable can cause damage not only to the shutter release cable connector, but may also damage your expensive camera’s remote shutter port. After encountering costly repairs firsthand, the solution to preventing this from reoccurring resulted in the use of a simple with one end attached to the coiled cable of the shutter release and the other connected the camera’s neck strap or camera body. This connection will relieve the stress between the remote port and the cable connector. At the cost of only a few dollars, this simple little device is exceedingly easy to use and can prolong the life of your remote shutter release as well as prevent costly repairs to the camera’s remote port. One could merely eliminate the issue with the use of a wireless remote. However, expensive and occasionally unreliable, a wireless remote is not without problems. Top-build quality coupled with reliability, I use the Nikon MC-30A Remote Trigger Release. Although not inexpensive, I don’t have to sacrifice a limb or donate an organ to own one! A Nikon D800 attached to an MC-30A Remote Shutter Release using a Nite Ize Carabiner. Where can I get a one for my remote shutter release? With a variety of hooks and devices available on the market, many will adequately perform the same task. I used a wire tie for several weeks before purchasing the Nite Ize 1.9-in Black Locking Oval Wire Carabiner S-Biner from Lowes. Try it out and see what you think; it works great for me!